Hibiscus tiliaceus, "Beach Hibiscus" (Malvaceae). 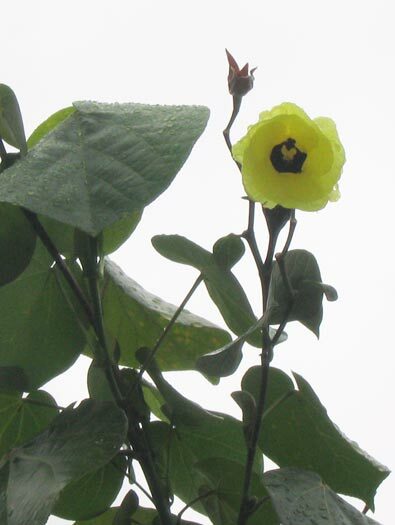 From PROTO MALAYO-POLYNESIAN *baRu, Hibiscus tiliaceus , "Beach Hibiscus" (Malvaceae). 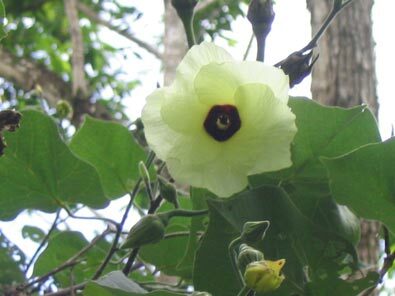 and PROTO OCEANIC *vaRu, Hibiscus tiliaceus. 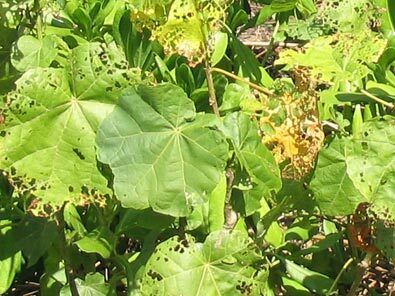 Maori: Whau (Entelea arborescens, Tiliaceae); Whauwhau, Whauwhaupaku (Pseudopanax arboreus, Araliaceae). 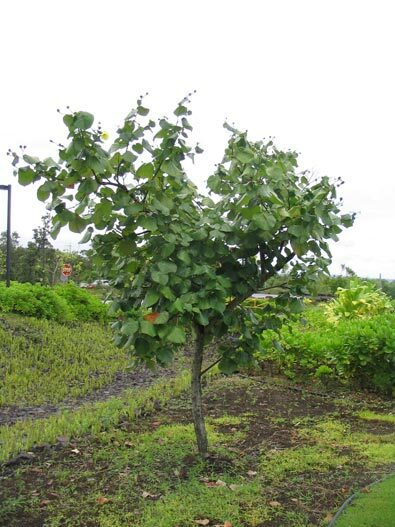 Proto-Polynesian: *Fausele (Hibiscus variety or Hibiscus-like tree). 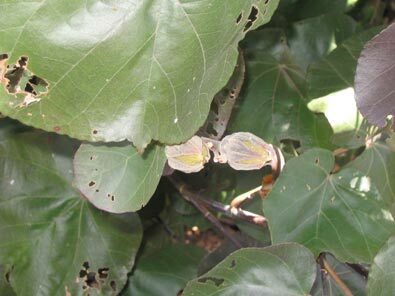 Māori: *Houhere (Hoheria populnea, Malvaceae). 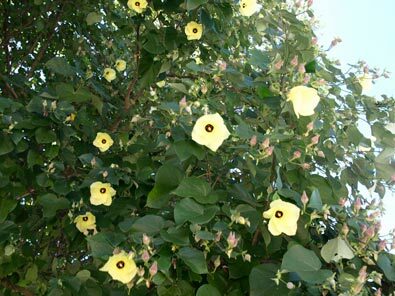 The tree most often referred to by reflexes of this word and its ancient Proto-Malayo-Polynesian antecedent, Hibiscus tillaceus, is as useful as it is widespread. 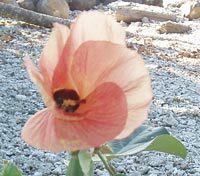 The name itself, although undergoing evolutionary changes as it travelled with the Austronesian explorers from the Philippines to Polynesia, retained its meaning intact until it reached the ends of the earth, Rapanui and Aotearoa, where the "beach hibiscus" was not found, but the memories of its attributes remained and are reflected in the new referents. One of the fascinating qualities of Hibiscus tillaceus is the way its flower changes colour as the day progresses, bright yellow in the morning (as in the photographs at the top right of this page and below), fading to a pale pink at the end of the day (as in the picture to the left), before the petals drop and carpet the sand. Watch this space! This is a page still very much under construction, but which contains the essential linguistic and botanical information, along with a few pictures. 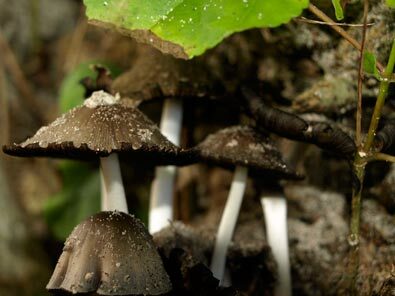 Text with information about the plants and their names will be added progressively as soon as time permits. See the "News" for February 2016 for more information. Further information : (See W. A. Whistler, Plants of the Canoe People, and other works relating to plants in various parts of Polynesia listed in the Bibliography). 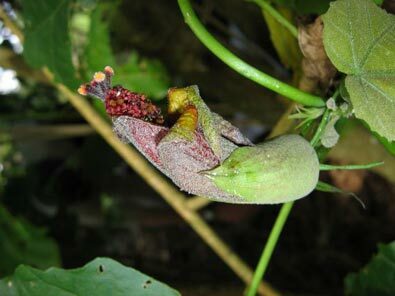 Photographs: Flower of Hibiscadelphus giffardianus, showing the unusual "unopened" petals was taken at Kīpuka Puaulu, Hawaii Volcanoes National Park by Karl Magnacca. Other photographs: Samoa R.B. & S.A., Hawaii R.B.